Focusky, a free animated presentation maker, aims to bring your presentation to life in a powerful way. A text-heavy slideshow is bound to fail to attract audience's attention. And a linear slide-to-slide presentation does also let down audience. How about making an animated presentation that wow your audience? Then try Focusky! It is powerful free slideshow software to deliver a stunning presentation. 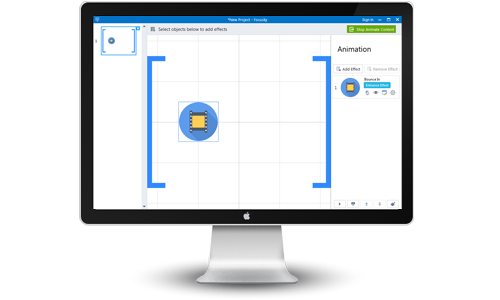 Focusky supports multimedia embedding and animation effects adding. In other words, you can enrich the digital contents by adding multimedia such as videos, music or images etc. Animation effects adding means you can define the animation of an object. Unlike traditional slideshow software, Focusky breaks through tradition by its amazing animation effects. 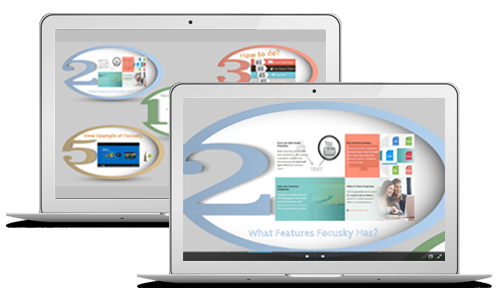 Known as zooming presentation tool, Focusky is very different from traditional presentation software. Using Focusky, you can get a big canvas where a dynamic presentation is offered. Paths can be placed wherever you want, or randomly, if you have to say, instead of in a dull linear order. And the zooming and panning effect of Focusky puts entire paths in motion. In this way, you will undoubtedly captivate your audience through your whole presentation. Most of slideshow software support embedding multimedia to slides, like text, images, SWF, audio and videos. But what makes Focusky out-standing is it gives more freedom to you. How? Not only can you add local videos to paths, but also web videos. Just by inputting video URL, you can easily embed a web video. This function does save you a lot of trouble of downloading videos from the Internet. People tend to be more interested in dynamic things. Therefore, in order to catch audience's eyes, you can create a dynamic presentation. Focusky gives you ability to add animation effects to the embedded media. You have complete control over how and when objects appear and disappear. You are also allowed to add emphasis effects to the objects. 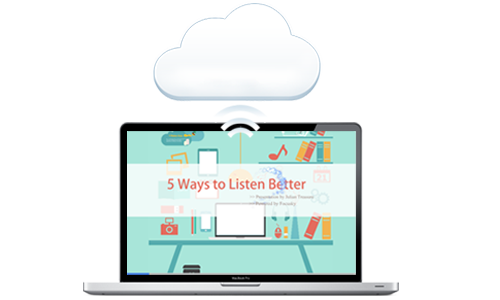 Focusky provides a user-friendly solution for you to show presentations anywhere and anytime. That is "Publishing to Cloud". 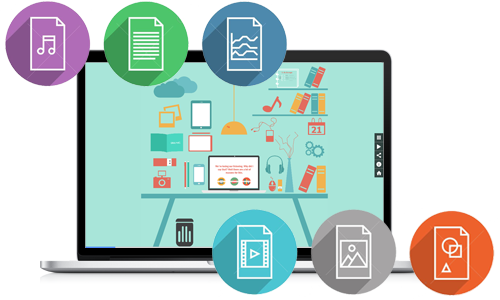 Focusky free cloud hosting service makes it possible to publish your presentation online. Besides, it enables you to share your online presentation via social networks and embed it to your own website.